Get the unique feeling that any materials never provide for you before. 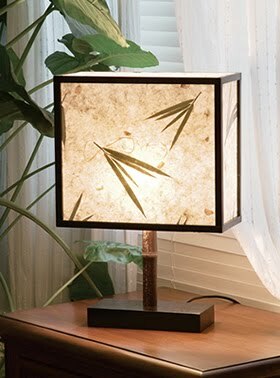 Which is made with the real bamboo leafs covered with the lighting paper together. And the frame is made with bamboo too. It integrates the Japan and China elements together for making such unique effect. Which is typically good for home use especially after switch off the main lighting supply for creating the romance feeling.